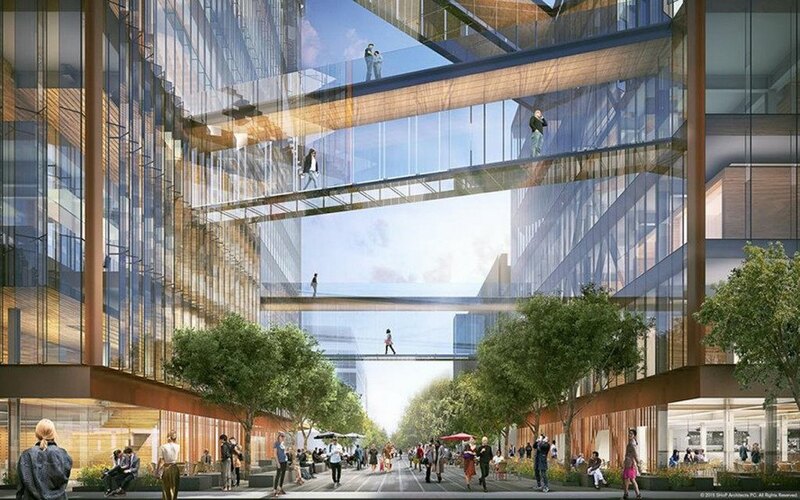 After backing away from Gensler's design for its San Francisco headquarters, Uber has unveiled a new design by New York-based Shop Architects that features two separate buildings connected with glass walkways, a small city park and a day care center for the staff's children. 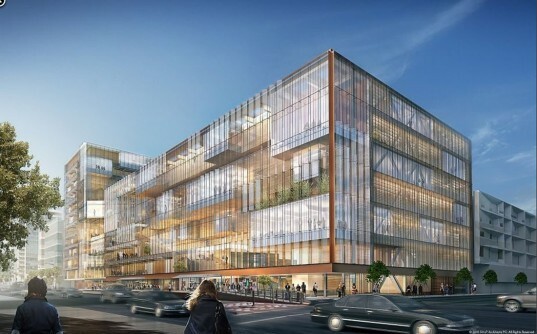 The new headquarters will be located in San Francisco's Mission Bay in a development dubbed a "biotech hub" that has recently been attracting high-profile companies. While Shop Architects designed the overall proposal, the interiors were conceived by interior designers Studio O+A. The 423,000-square-foot campus will comprize two buildings: a six-story structure at at 1515 Third Street and an 11-story one at 1455 Third Street. The company’s current headquarters is also located in San Francisco and the new building will triple its presence in the city. The new buildings will address different needs of its employees and even provide a day care center, and for those who don”t want to live in the neighborhood, the nearby Caltrain station will provide a good public transport connection. The company's current headquarters is also located in San Francisco and the new building will triple its presence in the city. The 423,000-square-foot campus will comprize two buildings: a six-story structure at at 1515 Third Street and an 11-story one at 1455 Third Street. The new buildings will address different needs of its employees and even provide a day care center. For those who don"t want to live in the neighborhood, the nearby Caltrain station will provide a good public transportation connection. While Shop Architects designed the overall proposal, the interiors were conceived by interior designers Studio O+A.